For anyone looking for a way to prevent yourself from endlessly hitting the snooze button, or wake you up gently at a time that suits your body, there are many alarm clocks created to help you with this issue. With the right alarm clock on your phone, you will be able to set your own waking schedule and even set your favorite music as an alarm if you are tired of the same old alarm sounds. We did our research and we have for all of you a great smart alarm clock for this purpose - Deez Alarm Clock for Deezer Music. What is Deez Alarm Clock for Deezer Music? 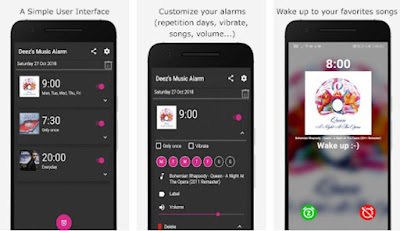 Developed for Android users as one easy to use and very unique music smart alarm clock app, users will have the chance to use Deez Alarm Clock for Deezer Music to change their old annoying alarm sounds with their favorite music. 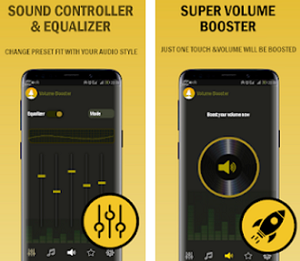 With this amazing app, users have the ability to set their favorite sounds as their alarm clock and wake up to their favorite music each day. On the alarm app, the users are offered to choose their favorite playlists, tracks, and even albums to set it as their music alarm for each morning without any effort. Deez Alarm Clock for Deezer Music and its features will offer you the chance to play the Deezer playlists and tracks, choosing the favorites you want to be set as your alarm clock. With this app, you have the chance to schedule your own wake-up time with the feature for smart alarm clock and search for Deezer music you like and set it as an alarm on both tablets and phones. 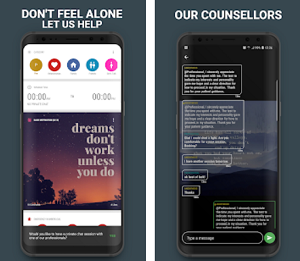 On the app, you are also allowed to choose any of your favorite songs, playlists, and albums to be set as an alarm or set even repeated alarms for the days you choose or just set specific alarms for specific days. The wake-up a schedule of the user can be set as he likes to and the alarms can be snoozed when he likes to sleep a little longer. Searching for Deezer music is easily done with the app and users can add their favorite music for alarms. The playlists can be shuffled and also users get enable and disable options with a touch on the app. The ‘’Wake-up’’ playlists are here for users that like to choose their favorite music to wake up to each day. Download the app for free on Google Play to add your favorite music as your music alarm clock!